TEAMS SHOULD ARRIVE IN THE VIERA AREA NO LATER THAN 12:00 PM (EDT) ON SUNDAY, JULY 14, 2019. All teams must Officially Register and Check-in on Sunday, July 14, 2019. Each team will be assigned a specific registration time by age division from 10:00 AM to 2:00 PM (EDT) at the USSSA Space Coast Complex Clubhouse (5600 Stadium Pkwy., Melbourne/Viera, FL). Registration and Check-in are for Team Managers and one (1) additional Coach ONLY per team (players do not attend Registration and Check-in). A minimum of one (1) representative from each team MUST be present for Registration and Check-in. Please have all copies of Birth Records, USSSA Space Coast Complex Waivers, etc. in alphabetical order as they appear on your USSSA Official Online Roster. Your USSSA Wilson DeMarini Elite World Series roster must be entered online at www.usssa.com. This roster must be the same as the roster used when your team qualified for the USSSA Wilson DeMarini Elite World Series plus any allowable changes pursuant to USSSA Rule 3.08. The Deadline for roster additions/changes is 12:00 PM (NOON – EDT), Saturday, July 13, 2019. The current USSSA Baseball Official Rules & Bylaws will be the governing rules. There will be a Managers Meeting Sunday, July 14, 2019, tentatively scheduled for 4:30 PM (EDT) at the USSSA Space Coast Complex Clubhouse (5600 Stadium Pkwy., Melbourne/Viera, FL). It is MANDATORY that one representative from each team attend. This meeting is limited to a maximum of two (2) representatives per team. Game schedules WILL NOT be released prior to the Managers Meeting so attendance is imperative. The special Athlete Ceremony is scheduled for Sunday, July 14, 2019 at the USSSA Space Coast Complex and is tentatively scheduled for 7:00 PM (EDT). Additional details will be available as the Event grows nearer. (9U, 10U, 11U, 12U) $895 Entry Fee payable by credit card ONLY must be submitted to the USSSA National Office within the deadlines listed below to avoid berth forfeiture! 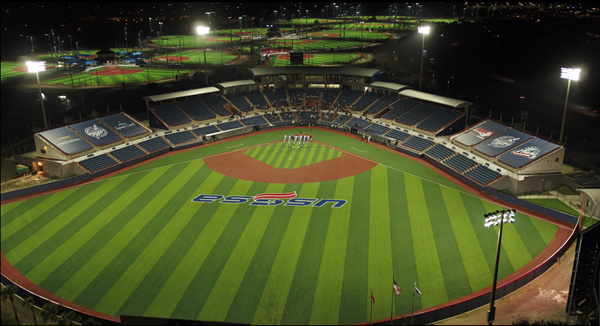 USSSA has set up discounted area attractions tickets for the USSSA Wilson DeMarini Elite World Series.